Senegal became the first African team to win at this year’s World Cup, defeating Poland 2-1 on a first-half own-goal and a controversial second-half strike by Mbaye Niang. Senegal, back in the tournament for the first time since 2002, went ahead in the 37th minute when Thiago Cionek’s attempted block of Idrissa Gueye’s shot wrong- footed goalkeeper Wojciech Szczesny, who was picked to start over fellow Arsenal castoff Lukasz Fabianski. Niang, who had returned to the field from treatment, later beat Szczesny to a backpass and had an open net when he doubled the lead in the 60th. Grzegorz Krychowiak, whose backpass led to Senegal’s second goal, headed in a free kick in the 86th minute to end Poland’s streak of five straight scoreless World Cup openers. Senegal President Macky Sall was in the stands to watch his nation’s first World Cup match since 2002, when the team reached the quarterfinals before losing to Turkey. Poland returned for the first time since 2006. Poland are the group’s highest-ranked side at number eight, but they struggled to create further chances with a free-kick from captain Robert Lewandowski one of just four shots on target. Senegal who are making only their second World Cup appearance now lead the group ahead of Japan, who beat Colombia 1-0 earlier on Tuesday. 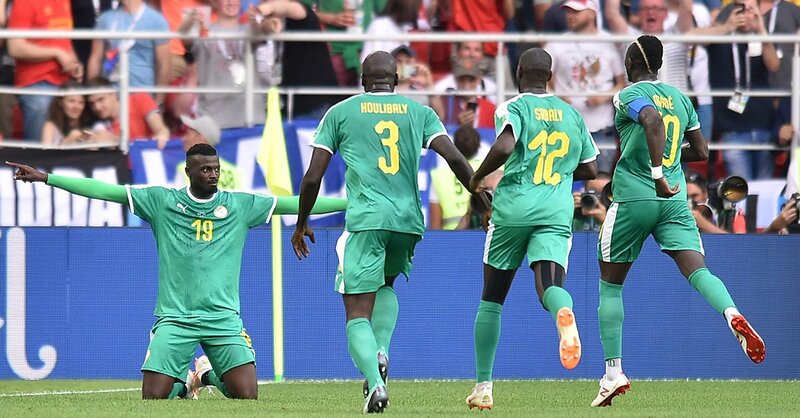 Senegal’s victory has now become a breath of fresh air for Africa since Friday when Egypt lost their opening Group A match to Uruguay at Ekaterinburg. The Egyptians had lost to a Jose Gimenez 89th minute goal, and since then three other African teams have lost their opening group games.